Because it is so full of horse gear, I would guess this catalog was printed some time before 1906. I’ll probably have to revise that date as I do more research. 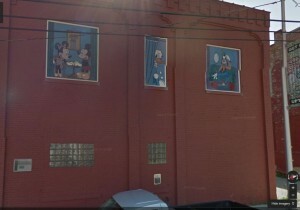 The factory itself was at 1433 Junction Avenue, a very popular place for factories along the railroad tracks on the south side of Racine. Lyman Wood was born on Aug. 22, 1849, and died Feb. 3, 1909, and is buried in Mound Cemetery. 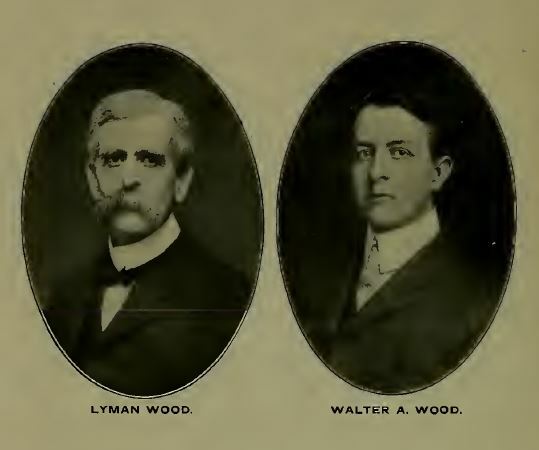 Lyman was married to Savilla Eleanor Jarvis Wood (1850 – 1918) on the 20th of August, 1874, and they had a son, Walter Aaron Wood (1873 – Apr. 18, 1906). 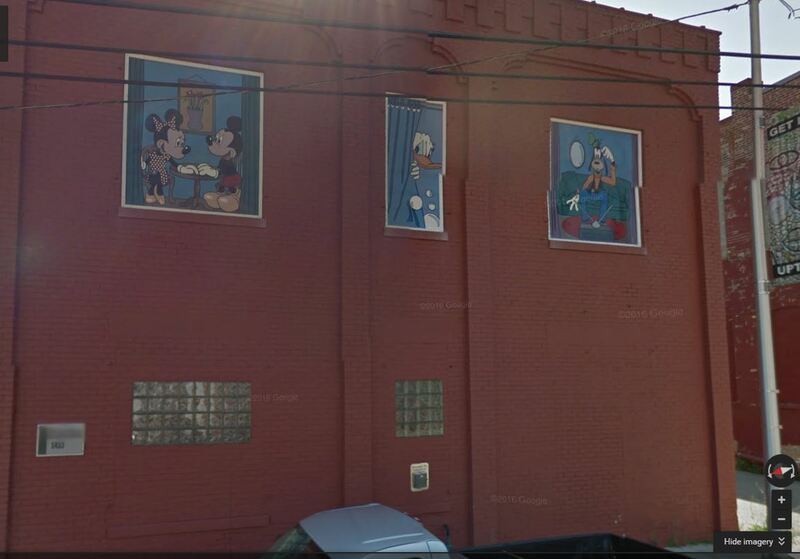 Aaron went to Racine High School and graduated in the class of 1898. 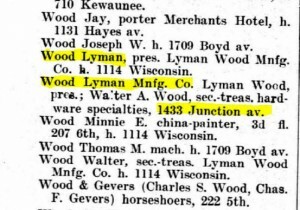 The history of Lyman Wood presents an interesting connection with the manufacturing and commercial affairs of Racine, for during a long period he engaged in the manufacturing and jobbing of hardware specialties, not a few of which were his own invention, for he possessed a marked ability along that line. His initiative spirit was displayed in many ways and he came to rank with the foremost residents of Racine. Moreover he had back of hint an ancestry honorable and distinguished and was fortunate in that his lines of life were east in harmony therewith. He was born in Syracuse, New York, August 22, 1849, a son of Samuel B. and Almira (Delano) Wood. The mother’s people were descendants of the royalty of France. the ancestral line being traced hack to Philippe de Lannoy, whose mother, a Huguenot, built the homes for the Pilgrim Fathers at Leiden, Holland. This line could be traced hack to 476 A. D. Philippe de Lannoy came to America in 1621, landing at Plymouth, Massachusetts, a passenger on the “Fortune.” He was the first Huguenot in New England to found a house and leave descendants. His seventh son, Jonathan, married a Miss Mercy Warren, whose parents had come to the new world as passengers on the Mayflower, and it was from this ancestry that Lyman Wood traced his lineage on the maternal side. Philippe de Lannoy was only two generations removed from the reigning house of France and the Delanos were among the originators of the Order of the Golden Fleece, consisting of twenty-five knights of noble blood when founded by Philippe “le Bon.” The house de Lannoy had seventeen knights of the Toison d’Or, three of whom were Founders and four were in the order at the same time (a greater number than any other family). Some of the Delanos fought for American independence. 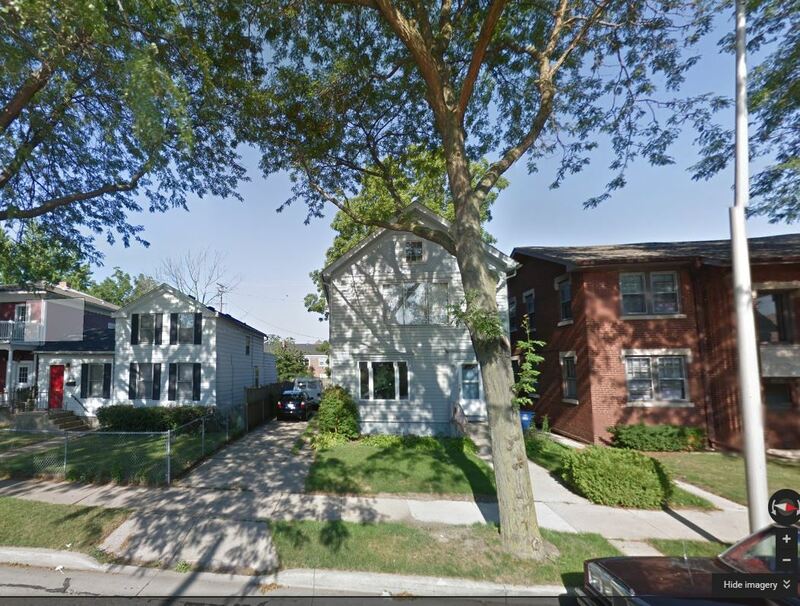 Among the descendants of the Delano family was General Grant, while connected with branches of the Wood family were Presidents Fillmore and Taft. Howard Delano, an uncle of Lyman Wood, was an inventor of note and became interested in many factories in Syracuse. It was he who invented the stove that was used in heating railroad cars in an early day and his nephew, Lyman Wood, also became an inventor of hardware specialties, possessing the same strain of genius displayed by his uncle. The Wood family was originally of Norman-French descent, but in the eleventh century representatives of the family went from France to England with William the Conqueror. An ancestor of the Wood family came to American from England in 1640 and his descendants lived in Massachusetts and New York, sonic of the number serving with the Colonial army in the Revolutionary war. Samuel Wood, father of Lyman Wood, was born in Syracuse, New York, April 10, 1811, and was educated in both law and medicine. In 1849 he went to California, going and returning by the way of the Horn, acting as ship’s surgeon on the return trip. In 1850 he came to Racine from Buffalo, New York, by the way of the Lakes, and after looking around for a suitable location took up his abode in Paris Township, Kenosha County, developing a farm upon which he spent his remaining days. He was married to Almira Angelina Delano of Skaneatles, New York, daughter of Jesse and Mary (Howard) Delano, August 28, 1835, and died October 21, 1863. The children from this union were: Henry Gardner; Benjamin Samuel, who died in the Civil war; Adelphia; Almire; Alpha; Lyman; Aaron; and Mead. Lyman Wood remained upon the home farm through the period of his boyhood and youth, assuming the management of the place when but fourteen years of age, owing to his father’s death, and continuing in charge until he reached the age of twenty-four. He then engaged in the hardware business in Union Grove, continuing until 1881, when he removed to Racine and opened a hardware store in the old Blake Opera House, continuing there until the building was completely destroyed by fire. He next engaged in the manufacture and jobbing of hardware specialties and continued actively and successfully in the business until his death, which occurred February 3, 1909, his remains being interred in Mound cemetery, while his parents were laid to rest in the Plank Road cemetery, Kenosha County. Mr. Wood was a devoted husband and father. It was on the 20th of August, 1874, that he married Miss Savilla E. Jarvis, who was born at Wilmot, Stark County, Ohio, a daughter of Thomas and Sarah (Mesner) Jarvis, both of whom were natives of Pennsylvania, born near Philadelphia. The Jarvis family was founded in the United States between 1700 and 1725 and the name figures in connection with the annals of the Revolutionary war. Of the marriage of Lyman and Savilla Wood were born two children. 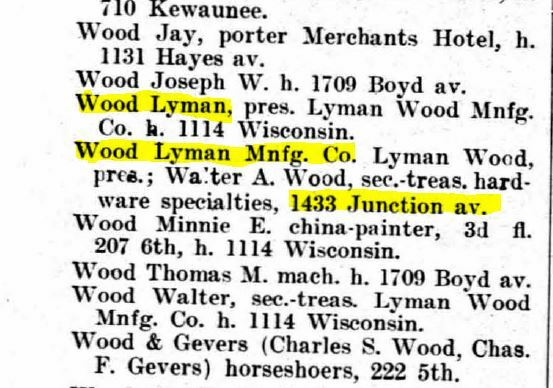 Walter A., who was born in Union Grove, June 5, 1877, obtained a public school education, was graduated from the Racine high school with the class of 1898 and then joined his father in the business of manufacturing hardware specialties, in which he still continues under the name of Lyman Wood Manufacturing Company. He has also devoted considerable time during the past eight years to compiling a genealogy of the Wood family in America, which he has almost completed and which he will publish in 1916. He is a member of the Sons of the American Revolution, being descended from sixteen ancestors who fought. for the independence of the nation. He is also a member of the Chicago Chapter of the Sons of the War of 1812, a member of the Milwaukee chapter of the Mayflower. Society of the New England Historic & Genealogical Society of Boston, and has membership in the First Presbyterian church of Racine as do the other members of the family. 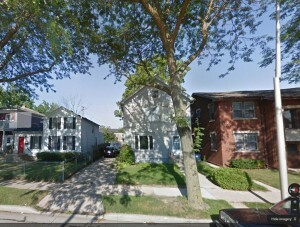 The daughter, Arminda Wood, attended the public schools of Racine and graduated from the Racine high school. She also attended Milwaukee-Downer College and was an art student in Chicago. Her artistic skill is largely manifested in original ceramic designs, some of which have been published in a leading art journal. For the past four years she has devoted her time to newspaper work. She is a member of the Racine Woman’s club, and she belongs to the Daughters of the American Revolution, as does her mother. The family has long figured prominently in business, art and social circles of Racine and has done much to establish standards in the city. Mr. Wood belonged to the Travelers’ Protective Association of America and in every relation of life which brought him in contact with his fellowmen he won warm friendship, for his salient characteristics were such as ever to command regard and goodwill. A thorough gentleman, he stood as a high type of American manhood and chivalry.